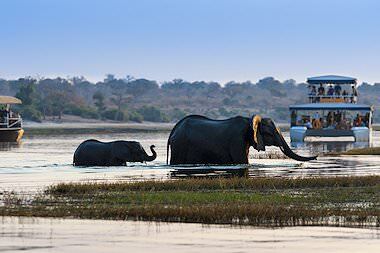 The ideal combination of our master private guiding services and fly-in escapes at safari lodges. 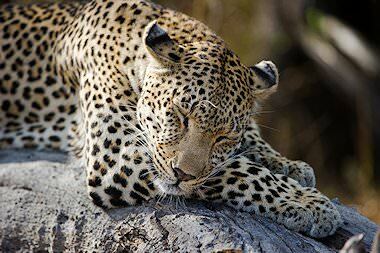 The ultimate Southern African safari and tour package. 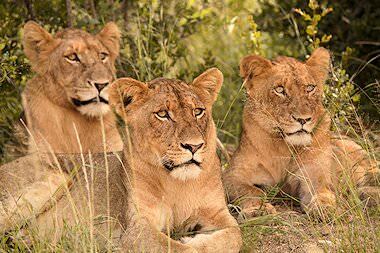 Awe-inspiring game viewing, adrenalin-rush activities and astonishing scenery are characteristic of this experience. A comprehensive, partially guided tour and safari extravaganza that is delightfully steeped in both leisurely luxury and authentic African adventures. 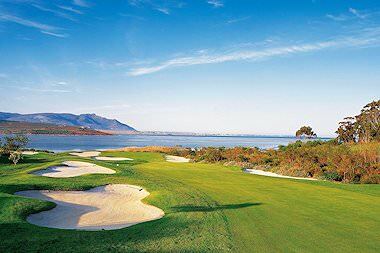 Play the choicest championship golf courses in South Africa while relishing the country's most captivating highlights, from Cape Town to the Kruger National Park. 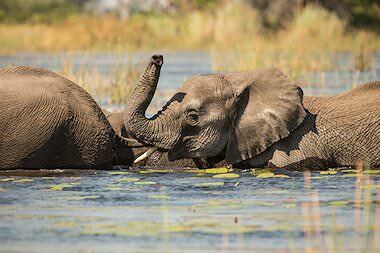 Southern Africa's most desired destinations feature in this ultra-luxurious partially guided tour and safari. Only the finest accommodations are included. 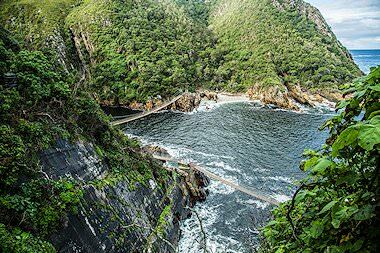 A moderately priced family-oriented adventure that includes everything from guided tours of Cape Town and the Garden Route to a safari in Pilanesberg. 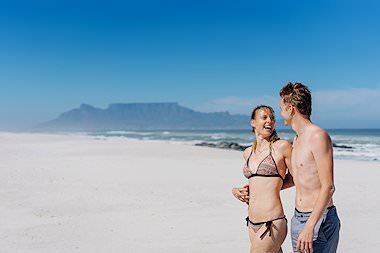 A partially guided honeymoon that blends South Africa's most romantic destinations into a memorable two weeks of loving leisure and shared exhilaration. This overland adventure begins in South Africa before trekking across the border into Botswana - one of Southern Africa's wildest and most rewarding destinations. 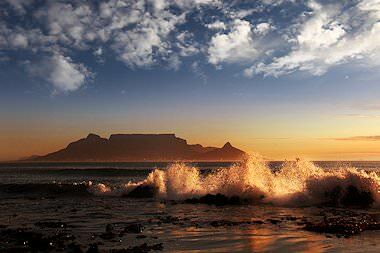 An exceptional combination of South Africa's top destinations and its top accommodations. Experience the cream of the crop throughout your partially guided tour and safari. 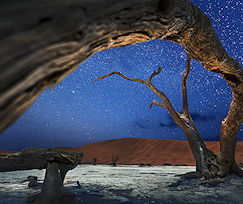 An affordable (and unforgettable) four star tour and safari combination that ticks off an impressive Southern African travel bucket list with a few surprises en route. 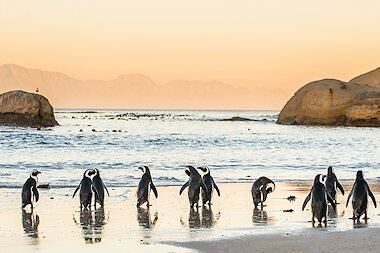 Experience four distinct and indelibly rewarding areas of South Africa's Western Cape during this top-end adventure mired in spectacular scenery. South Africa's two most sought-after vacation destinations - the Sabi Sand and Cape Town - are coupled in this exclusive and exquisite partially guided tour and safari. Combine a tour of the Western Cape's pristine Garden Route region with a luxury safari in the Eastern Cape's Big Five-hosting Shamwari Private Game Reserve. When you opt for a partially guided tour or safari, you'll enjoy the rewarding combination of having both a private African Sky guide for touring and the fine skills and insight of resident rangers and trackers when you visit safari lodges. Your lodgings will consist of comfortable guest houses and hotels during your tour portion and plush four or five star lodges for the safari legs. A range of options are available to complement all budgets and interests. 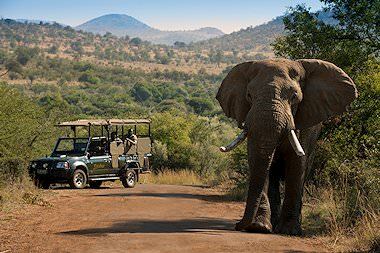 Tour transportation is conducted from closed, comfortable air-conditioned vehicles - usually a sedan, minibus or 4x4 - while your game drives at the safari lodges will venture out in specially modified open-air 4x4 safari vehicles. On a partially guided tour and safari, you'll be able to savor both the expertise and companionablity of your personal African Sky guide as well as the tried and tested knowledge of rangers and trackers that are fully immersed in the wilderness on a daily basis. You'll be exposed to a wider scope of professional individuals, each enhancing your adventure in their own particular way. Throughout these partially guided tours and safaris, you'll experience a greater variety of accommodations included in your itinerary. These will range from hotels and guest houses within easy walking distance of a range of exciting attractions to safari lodges with the wilderness right at your doorstep. Comfort and quality are standard across the board. Unlike with a fly-in safari which is largely restricted to safari activities conducted at the lodge, your partially guided tour and safari opens up a wealth of other exciting opportunities. You'll experience authentic open-air 4x4 game drives, but also tourism highlights like cultural village tours, the cable car trip to the top of Table Mountain and gazing upon the awe-inspiring Victoria Falls. Throughout your partially guided tour and safari, you'll be flying AND driving overland to the various destinations included in your itinerary, enabling you to see more of the countries that you are exploring while also eliminating unnecessary distances to reach the more remote areas. Relish spectacular scenery where it counts and convenient travel where its more beneficial. 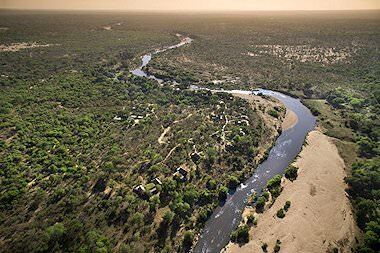 While some destinations are easily reached via the nearest airport, many more off-the-beaten track outposts require a bit of an adventure to reach - whether its via overland journey with your guide or a dedicated charter flight into the heart of the Okavango Delta. Delight in diversity when you combine these aspects in your partially guided tour and safari. The most rewarding experiences in life are often those characterized by balance, which is part of what makes our partially guided tours and safaris so appealing to travelers of all interests. 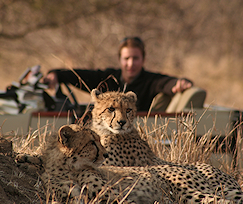 It really is possible to experience the best of both worlds - to enjoy an authentic safari, complete with the services of a resident ranger and tracker, as well as to tour South Africa and Namibia's highlights on a privately guided overland adventure. Despite the variation in the experiences, you'll find the transition between each element of the itinerary to be perfectly seamless. Your African Sky guide will expertly steer you through the local highlights of various cities, towns and breathtaking natural attractions before assisting you in catching a flight for the fly-in leg of your adventure, where you'll be entrusted to the capable care of lodge staff. Inclusions may vary throughout, but at no time will you be left to navigate the experience on your own (save for personal preference, of course). This is arguably the most enriching and comprehensive way to travel in Southern Africa, ensuring both enough down and personal time as well as immersion in the wealth of adventures on offer. When it comes to the countries and areas included in our partially guided tours, you can really use your imagination. Combining privately guided and fly-in aspects just opens up such a wealth of destinations to choose from, as you are not limited to one single element of travel type. 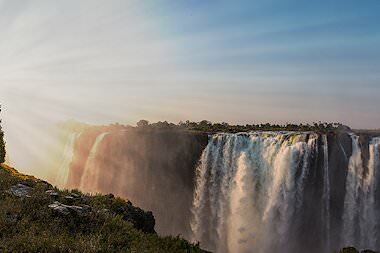 Couple a tour of Cape Town with a safari in the Sabi Sand, or an adventure in the Okavango Delta with a visit to the world wonder of the Victoria Falls - the possibilities are seemingly endless. Our partially guided tours have been carefully crafted to combine the most appropriate destinations for ease of movement, overall affordability and, of course, maximum enjoyment. 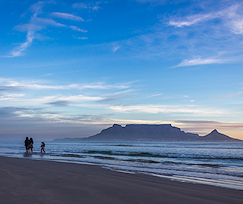 Transitioning between countries and areas will feel surprisingly smooth for precisely the above reasons, whether you are bidding the Cape winelands farewell for the stark Namib Desert or leaving behind the city lights of Joburg for pristine beaches of Mozambique.